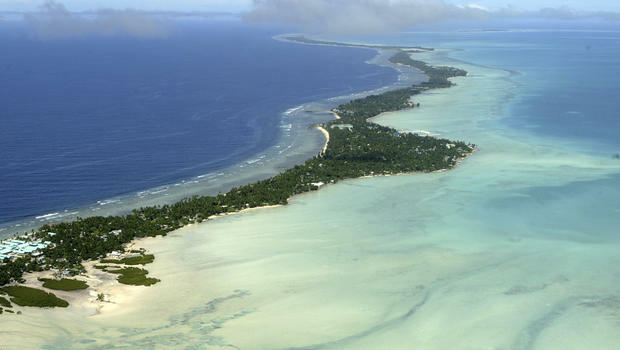 A remarkable event happened late in July on a tiny island in the Pacific called Betio when the remains of thirty six U.S. Marines were flown back to the United States after being declared missing for seventy years. 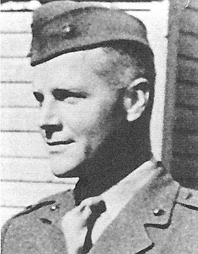 Among the fallen was Lt. Alexander Bonnyman, Jr., who had been posthumously awarded the Medal of Honor for leading an assault against a massive Japanese bunker. Among the team that recovered the lost gravesite was Bonnyman’s grandson, Clay Bonnyman Evans. Betio is the southernmost island of the Tarawa Atoll in the Gilbert Islands. In November, 1943, Betio was the target of the first American landing in the Central Pacific “island hopping” campaign on the long road to Tokyo. The 2nd Marine Division was tasked with seizing Betio, only two miles long and eight hundred yards wide at its widest point to capture a Japanese airfield. The island was well prepared with five hundred defensive bunkers, gun emplacements, artillery and heavy machine guns, beach obstacles and mines all manned by an elite force of Japanese marines. Yard for yard, this was the most heavily defended objective the U.S. Marines ever assaulted. The fighting lasted for three days in an epic struggle that war correspondent Robert Sherrod described as “utmost savagery.” Of the 2,619 enemy troops defending Betio, only 17 were taken prisoner. In the end, 1,009 U.S. Marines were killed along with 687 sailors of the USS Liscombe Bay sunk by an enemy submarine. Another 2,101 marines were wounded. The cost of this battle was a rude awakening to the American public, a foretaste of what was to come in much larger operations. Yet valuable lessons were learned at Betio that would help win the battles to come. By the summer of 1944 the Marines and the Army had captured Saipan in the Mariana Islands which put Japan in range of the new B-29 bomber. History Flight, a non-profit organization working with the U.S. Government to locate and recover missing American servicemen discovered the gravesite in 2011 and began excavating in March, 2015. Bonnyman’s remains will finally travel the almost 7,000 miles to his birthplace in Knoxville, Tennessee, where he will be buried next to his parents and three siblings. 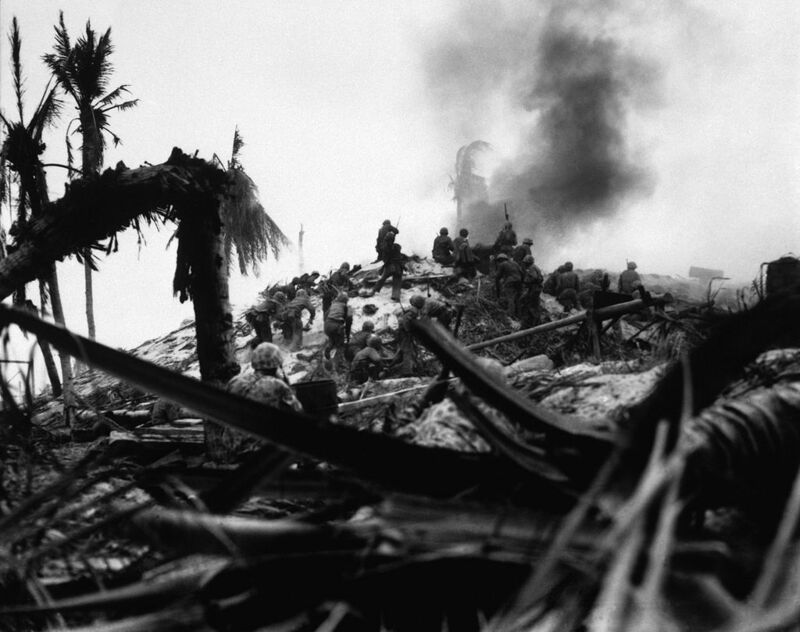 It is estimated the remains of several hundred other Marines still await recovery on Betio. You can find out more about the Marines in the Pacific in World War II in R.V. 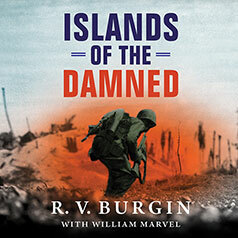 Burgin’s memoir Islands of the Damned: A Marine at War in the Pacific. 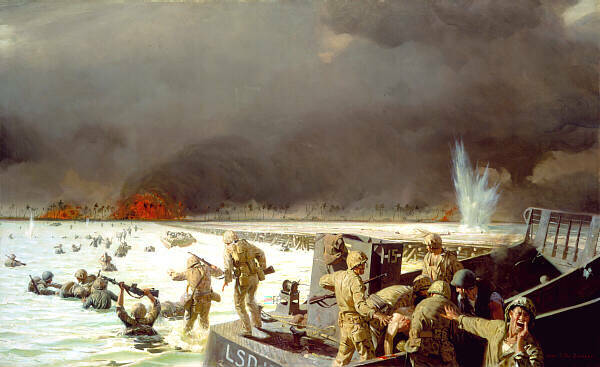 Tarawa, South Pacific, 1943″ painting by Sergeant Tom Lovell, USMC.